So the first movement of mission required of us is the willingness to move out—to simply go to the people, wherever that might be. Movement by definition suggests some form of motion, some type of action: it might not be far, but the obligation is on us to go to them, not them to us. Every Christian is a missionary and we are called to live out our commitment to Jesus’ lordship in every sphere and domain of life. Church life, as we normally conceive it, is only one dimension of life and all of us inhabit many other realms that make up our lives. What marks Christianity as distinct is that it is truly a people movement: every believer (and not just some presumed religious elite) is an agent of the kingdom and is called to bring God’s influence into all the realms of human existence. Just look to our New Testament for this! Because the Holy Spirit lives in us, and we are all bearers of the gospel message, we are all agents of the King at any time and in any place where we find ourselves. For most of us, what will be required to engage in missional Christianity is to simply reach out beyond our fears and ignorance of others, to overcome our middle-class pen- chant for safety, to take a risk and get involved in what God is already doing in our cities and neighborhoods. It’s not a science really. It is all about love. Just read 1 John again to remind yourself of this. One of the most significant things to remember in getting missional is often the thing we most overlook. It’s not all about starting grand programs and running big organizations. It is just doing what you do . . . for God. The basic elements of missionality are already present in your life. It might develop into an organization (e.g., Tom’s Shoes, Laundry Love), but it probably should not start there. There are many ways we can simply use the basic constituents of life and make them an act of worship to God and service to his world. Sometimes simple gestures make all the difference. Don’t be overwhelmed. Certainly, prepare yourself in prayer and study of the gospel and culture, but trust that God will use you as you are—he has always done so. You don’t need a degree to be a very effective agent of the King. A saint is merely a person who makes it easier for others to believe in God. Mother Teresa (of all people!) once famously quipped, “I don’t do big things. I do small things with big love.” We are not required to do a great thing in life, but many, many small things, each done with love. To move deep into the culture is to take the idea of incarnational mission seriously. This in turn takes its cue from the fact that God took on human form and moved into our neighborhood, assumed the full reality of our humanity, identified with us, and spoke to us from within a common experience. Following his example, and in his cause, we take the same type of approach when it comes to mission. Whether we like it or not, we live in a world that is culturally fragmented and fragmenting. The result of cultural disintegration is that people now choose to identify with various subcultural groups. Any modern city is now made up of literally thousands of different subcultures: from sports groups, hobby clubs, interest groups, to groups that gather around sexual preference (the gay community is always a big one in major cities throughout the West), to pubs, clubs, music groups, surfers, skaters . . . you name it! If you find yourself called to a certain urban tribe, whoever they might be, then it is critical that you take their culture—in effect, their meaning system—seriously. Go to movies with friends and talk about the themes. Read the books they are likely to read (there is good demographical information about lifestyle preferences and people groups around). Browse bookshops and magazine racks as to what people are talking about and interested in. If people see a movie more than once, make sure you see it and try to work out what it is they seemed to resonate with. Then you can get to see how the Good News relates to the issue. The missional Christian makes the connections between people’s existential issues and the gospel, as we shall see, but it does take some cultural savvy to make this happen well. 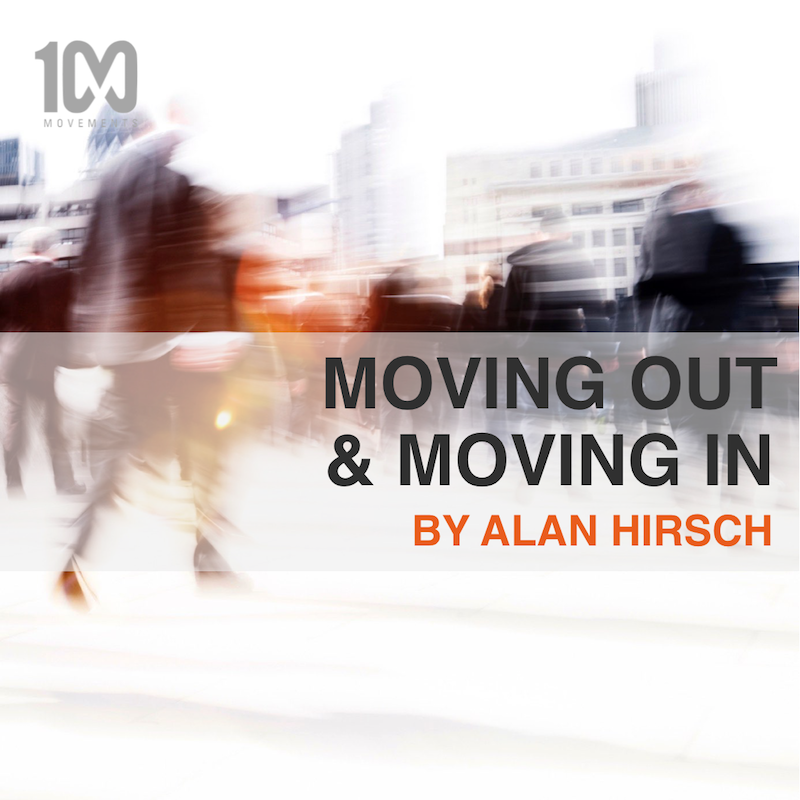 Moving out and moving in does not always require you to go to places and people you find so different and uncomfortable. In the principle of starting with what’s already in your hand, make a list of the things you love to do. Odds are there are a whole lot of people who already do one of those things together, and if not, then there are probably people who would like to do that with others. Some popular interests include art forms, murals, beer brewing, cooking, cycling. A look at your local newspaper will reveal hundreds of such groups around. Another approach is to list the vibrant social spaces in your area and simply adopt one and become a regular. Don’t do this as some sort of lone missional ranger. How about a few of you take this on as a common mission. For example, I know of a group of believers who simply loved bush walking— trekking through the mountains and hills around Melbourne. Problem was, the only free day they had was Sunday, so they decided to make that their church. They would trek out into the bush, taking in the glories of God’s creation and good comradeship along the way. At a certain point they would stop, have a meal and communion together, share around Scripture, take an offering, pray for people, and then continue bush walking for the rest of the day. About 40 percent of the group were non-Christians deeply interested in the mix of nature and spirituality that The Earth Club provided. The church that Jesus built doesn’t need all the institutional paraphernalia that we have been scripted to think it does. You carry the church with you everywhere you go. and don't miss a thing. We respect your privacy in all things. Want to keep up with all things 100M? Sign up and don't miss a thing. You will receive a confirmation email in your inbox shortly. Thanks for joining the conversation! © 2018 100 Movements, 501c3. All Rights Reserved.